Seemed like Wilma was always hollering about John's smelly shirts and pants, especially after his Wednesday volunteer-firefighter meetings, when he'd come home with a distinct rotten-egg odor. John wasn't happy about it, either: "I can smell it myself, and I don't do nothing to get in the dirt or nothing." But after Wilma returned from a recent function at fire-department headquarters in Herculaneum, she stopped griping. "I know why your clothes stink," Wilma told him. "I was at the firehouse -- smell my blouse." After he retired from his truck-driving job, John Chamis decided he and Wilma would move from South St. Louis and find a safe, quiet community in which to spend the rest of their lives. John thought he'd found just the place. 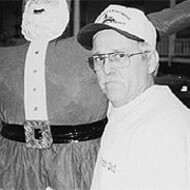 On the job, he'd often driven to Herculaneum, making deliveries to the old lead smelter on Main Street, and the more times he made the short trip to Jefferson County, the more he liked what he saw. With its inexpensive old homes, schools, churches, parks and creek, Herculaneum -- the locals call it "Herky" -- felt like a village untouched by urban sprawl and developers. "I seen this as a nice, peaceful town," Chamis says. In December 1994, the couple paid $77,000 for a two-bedroom ranch-style house on Jefferson Street, then started fixing up the place and making friends. "It was just a great place to retire," Chamis says. That was then. Now, the couple's house is up for sale, and they've already shown it to a couple of prospective buyers. Chamis says he and his wife had no idea the town was so polluted -- no clue that when he'd go to the firehouse, his clothes would pick up the smell of sulfur dioxide emissions from the smelter; that their yard, located about a mile north of the smelter, would be contaminated with lead; that he and Wilma would end up with lead in their bloodstreams. "I'm sorry, I don't want to live around stuff like that," Chamis says. In recent months, as more information has trickled out about the smelter's operations, other residents have put their homes up for sale or moved away. But Chamis insists he's not leaving Herculaneum, just moving farther away from the smelter. It's a good thing Chamis isn't leaving town, considering that he's the mayor of Herculaneum. When he ran in April, his campaign motto was "Watch Herculaneum grow." Until recently, Chamis was convinced he could deliver on that promise; today, he compares his town to a place that has disappeared from Missouri's map. "This lead stuff is terrible," he says. "It's really worse than Times Beach." They shouldn't walk on certain residential streets because of dust that's spilled from trucks hauling lead concentrate. About 22 percent of the children under the age of 6 have high blood-lead levels (the state average is 8 percent); that even with an accelerated cleanup program, it will be years before some Herculaneum children stop being poisoned. At least 510 of the town's 530 residential yards located east of Highway 61-67 are so contaminated with lead that they'll have to be replaced. That includes yards whose topsoil had been replaced just a few years ago. Half of the dust samples from the town's elementary, middle and high schools exceed federal guidelines for lead. Even the elementary school in neighboring Pevely was found to be contaminated. The number of people in the town afflicted with amyotrophic lateral sclerosis (Lou Gehrig's disease) and multiple sclerosis, neurological diseases linked to heavy-metal exposure, is unusually high. One official characterizes the reports -- that there may be as many as six cases of ALS in Herculaneum -- as "extremely distressing." Evacuation of part of the town is being considered by regulators, although they're quick to caution that there are insufficient data now to warrant such a drastic step. But it's not all gloom and doom in Herculaneum. Just in time for the holidays, Doe Run Resources Corp., a company with net worldwide sales exceeding $800 million, announced it was giving away 400 high-efficiency vacuum cleaners so residents can do a better job of cleaning up lead in their homes. That's more than Brenda Browning ever received from the St. Louis-based company. Browning, who was raised in Herky, moved back to her parents' old house when she and her husband, Steve, began having children. Twins Andrew and Emily were born in 1990; Lauren arrived in 1993. When Browning and her brother, Tim, were growing up in the house on Mott Street, living three-tenths of a mile from the smelter was no big thing -- other than the fact that sometimes it was hard to breathe outside. "I remember, as a kid, we had an old pharmacy with a soda fountain, and it was a treat to go down there," she says. "I remember days we couldn't walk downtown because your lungs would burn -- we couldn't breathe, so we'd have to go back home." As for lead, nobody seemed concerned. June Myers, Brenda's mom and a longtime resident of Herculaneum, says people didn't know enough. Sure, neighbors employed at the smelter sometimes stayed off the job until their lead levels went down, but then they'd go back to work. If there was any risk to people who didn't work at the plant, Myers says, she didn't know about it. She certainly didn't hear about it from the family doctor, who delivered her two children. "He was a sweetie," Myers recalls, but, like many city officials at the time, the doctor also worked for the lead company. That's the way things were in a company town, where the smelter's blast furnaces first began melting lead from ore in 1892. St. Joe Lead Co., predecessor to Doe Run, built Herculaneum's homes, owned the town grocery and was the main source of income for most families. With so many locals working at the plant, the company and community had a strong bond, one that often worked to the company's advantage. "For years, you could smell the sulfuric acid," says Mike Lewis, an ex-employee, "and a lot of people would say, 'Aw, hell, I'm not going to call, because my brother works there, my son works there.'" So few residents seemed willing to take on the company that environmentalists didn't bother. "Years ago, I would never have thought of going into Herculaneum," says Tom Kruzen, an environmental activist who's been on an 18-year-long warpath against the state's lead-mining industry. But attitudes began to change in the early 1990s, triggered in large part by a bitter strike. In early 1992, the Teamsters Union -- which represented about 270 smelter workers -- and the company were getting nowhere in negotiations. Doe Run, then a subsidiary of Irvine, Calif.-based Fluor Corp., demanded concessions, including cuts in the numbers of job and wage classifications. When talks stalled, the company imposed its last contract offer and members of Local 688 walked out. Just as in 1984, when the United Steelworkers struck Doe Run's mines, the company brought in replacement workers. With the smelter strike heading into its third year, Fluor sold Doe Run to a New York holding company controlled by billionaire Ira Leon Rennert. By the end of 1994, the new workforce at the smelter had voted 251-51 to decertify the union, and the Teamsters were gone. Lawrence Casey, a 40-year employee who retired in 1992, notes that the strike hardened attitudes in the community against the company but says that what really riled people -- especially those who didn't have a stake in the labor dispute -- was how the company dealt with residents whose property was damaged. "They let emissions out over the city, and it got on peoples' cars and on their houses, and people started taking notice that something was going wrong," says Casey. Cars and homes were spotted whenever there was an accidental release of sulfuric acid, but Doe Run was reluctant to compensate residents, Casey says. Given that the smelter had routinely violated air-quality standards since 1978, city officials complained to the state Air Conservation Commission, where, in 1993, they found a less-than-receptive audience. "We're not interested in running scared and shutting down something every time somebody hollers," said then-commission chairman Johnny Ray Conklin. Brenda Browning, at home with two toddlers and an infant, wasn't paying much attention to the strike, but she remembers getting informational fliers from Doe Run telling residents how to prevent lead poisoning. 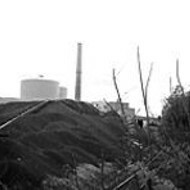 At the time, Doe Run had been quietly buying properties close to the smelter -- it owns more than 80 in the city now, many still occupied by renters -- and was replacing some contaminated yards. "That was actually the first I really recall thinking about it," Browning says. She spoke with a neighbor, a striking employee of Doe Run, about the company and what he knew, and the next time she took the kids for their regular check-ups, she asked her St. Louis pediatrician whether they should be tested for lead. "He said, 'Where do you live?' I said, 'Herculaneum,' and he said, 'Move!' That was his response -- I'll never forget it," Browning says. The test results confirmed her fears -- all three children had high blood-lead levels, and if Lauren's level went any higher, the doctor warned, "she'd have to have treatment," Browning recalls. 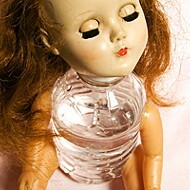 Concerned, she tried to learn all she could about lead poisoning. There was plenty of information available. Studies had shown that young children poisoned by lead will exhibit anemia, kidney damage, severe stomachaches, muscle weakness and brain damage. Lead poisoning can cause learning difficulties and damage the nervous and reproductive systems; it's also been linked to behavioral disorders such as aggression and inattentiveness. Since 1991, the federal Centers for Disease Control and Prevention has considered any blood-lead level greater than 10 micrograms per deciliter unsafe. Lauren had tested at 19, Browning says. Suspecting that her children weren't the only ones who'd been "leaded," Browning went door to door, asking neighbors about lead. She called the press. 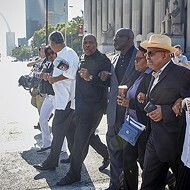 She contacted the Missouri Coalition for the Environment; its executive director, Roger Pryor (now deceased), agreed to meet with residents if Browning could gather a "substantial group." 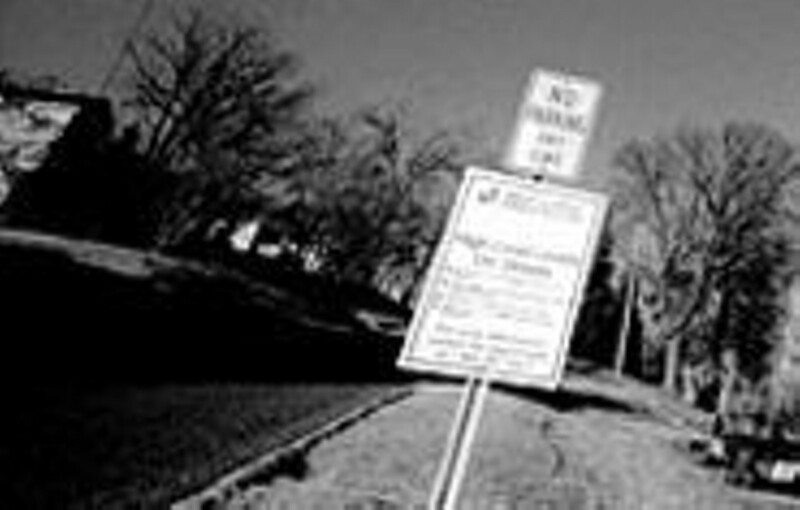 She tried to find a facility for a meeting, but a church she approached insisted that Doe Run be represented -- "and that was not what we were looking for at that time." When she asked to use the AmVets building, she was turned down. "They said, 'Doe Run's our landlord -- we can't do that," Browning says. Getting anybody in state government or the U.S. Environmental Protection Agency interested proved an even bigger challenge. 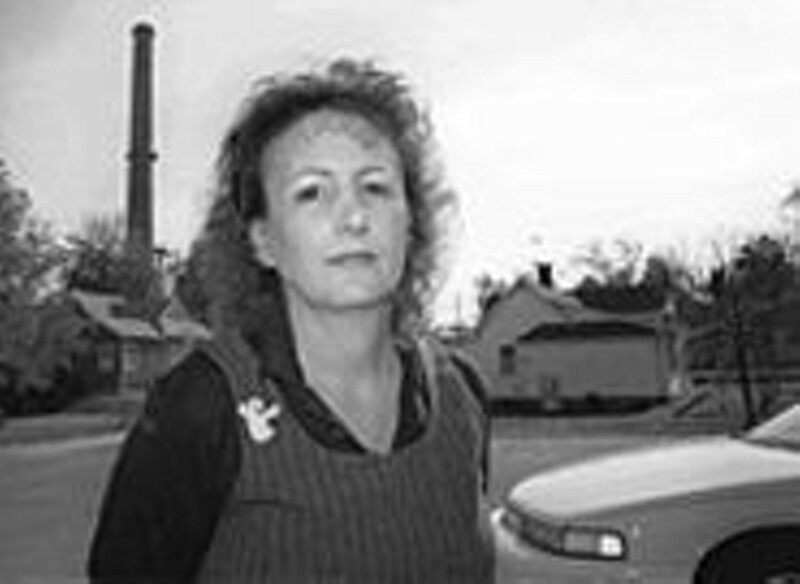 She wrote the EPA regional office in Kansas City: "The time is now for the EPA to intervene, to communicate with the residents of Herculaneum [and] end the lead contamination in our community," she pleaded, sending copies of the letter to every local official and media outlet she could think of. "I couldn't get anybody's attention, to be quite honest." A Missouri Department of Natural Resources employee promised he'd come to Herculaneum, "but that never happened," Browning says. Then she got Doe Run's attention the hard way. In September 1995, Andrew, Emily and Lauren became three of 10 plaintiffs in a personal-injury lawsuit against the company and its owners. The suit, filed in Jefferson County Circuit Court, is still pending. Not long after, the Brownings decided to leave Herculaneum. The family returned from a vacation in 1995 and found the windows of their house shattered. All the doors were still locked, and there was no evidence of vandalism. Browning says a neighbor told her there'd been an explosion at the smelter. Not locked into a mortgage, the Brownings concluded that it was time to go. "First of all, our kids are leaded. Second, I figured they were going to blow us off the map," she says. In 1996, the family moved to Festus. "When I moved out, I moved on," she says. Her mother, June Myers, says the experience was and remains unsettling. She wonders whether her own children were exposed, whether she should have known more. "I have actually cried about it because I did not know what I know now. Like Brenda says, 'Maybe we had geniuses in Herculaneum, but we will never know because they were exposed to lead.'" While Brenda Browning was trying to stir things up, Mike Coffey was closing in on a problem identified by a former colleague at the U.S. Fish and Wildlife Service. 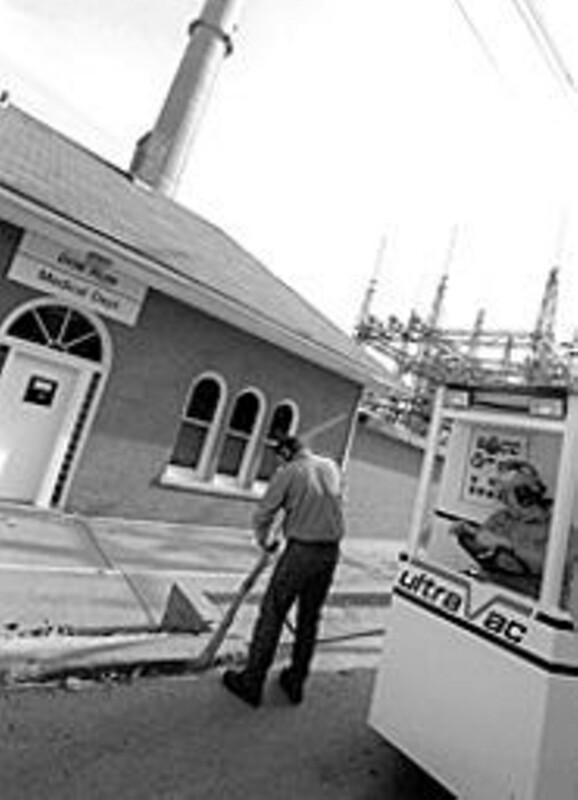 Routine monitoring of the Mississippi River in 1989 had identified large traces of heavy-metal pollutants -- lead, arsenic, cadmium, copper, nickel and zinc -- in river sediment in a couple of hotspots, including an area just south of Herculaneum, where Joachim Creek meets the Mississippi. The area is home to a rich array of small animals. Migratory birds -- red-tailed hawks, belted kingfishers, great blue herons -- use the site during breeding season. Bald eagles have been spotted in the bottomland forest; the endangered pallid sturgeon is known to swim in the area. Coffey, a biologist with the service's Rock Island, Ill., field office, wanted to find out whether wildlife, especially protected and endangered species, was being affected by the pollution. He collected water and sediment samples in 1992 to confirm the unusually high heavy-metal readings in the river. Fish he sent to the University of Iowa for testing seemed to confirm a problem below the confluence of Joachim Creek and the Mississippi -- carp and catfish caught south of Herculaneum had much higher readings for lead and other metals than fish caught farther north. Then, the flood of '93 broke levees and dramatically altered the topography around the river. Sediments near the Doe Run site, which adjoins the Mississippi, were buried or swept away. But when Coffey returned in 1995 to take new sediment samples, they again confirmed high levels of lead, nickel and zinc near Herculaneum. He broadened his efforts to include samples from frogs, mice and birds. Everything seemed to confirm the initial findings: There was an unusually high level of heavy-metal contamination. Of the 21 birds he collected in 1997 and sent to Des Moines for examination, five -- four common grackles and a cedar waxwing -- met the threshold for clinical lead poisoning. In other words, the birds were so leaded, they were considered biologically impaired; if they hadn't given their lives for science, they likely would have died of poisoning. Another eight birds -- grackles, blackbirds, waxwings and swallows -- met the threshold for subclinical lead poisoning, enough, some studies suggest, to feel pain. If these birds were being leaded, Coffey theorized, protected species might also be at risk. Dan Burleson, a veteran criminal investigator for Fish and Wildlife, joined Coffey's inquiry, and they boated up Joachim Creek, looking for evidence of sick or dying animals and taking water and sediment samples. The creek partially encircles the smelter's slag pile -- a 24-acre moonscape of glassy black waste that's been steadily building since the mid-1940s. In some places, the pile reaches a height of 50 feet. During spring and fall flooding, Joachim Creek laps the edge of the pile; during high floods, as in 1993, the water climbs several feet up the waste. Slag, a waste product, contains small levels of lead and zinc, but the metals are tightly bound. Studies have shown that the bioavailability of lead from slag is low, so something else had to explain why the levels of lead and other heavy metals in the river and wildlife were so high. As part of the investigation, Burleson went to Hillsboro to check property records and, by happenstance, met an ex-Doe Run employee with a story to tell. The former smelter worker, now on the Jefferson County payroll, claimed to have information about hazardous waste in the slag pile and said other workers could provide details. The ex-worker, who asked the Riverfront Times not to use his name, and Mike Lewis, who'd been a crane operator in the yard before the strike, met with Burleson and other investigators at least twice. At the first meeting, in early 1998, they examined a map of the plant site and tried to identify locations where hazardous waste allegedly had been buried. The men also provided names of other former smelter workers who might be able to verify their account. Those ex-employees had some things in common: They'd worked for years in the yard, operating such heavy equipment as front-end loaders and cranes, and almost all had lost their jobs involuntarily, many because of the strike. Bob Nash, an ex-foreman, says the slag pile -- he refers to it as "12" for the number of the railroad track that ran to the dump -- was "used for burying just about anything that we couldn't get rid of otherwise: barrels, pieces of [rail]cars and all kinds of stuff." Nash, who never spoke with investigators, recalls one time when the company couldn't get rid of railcars of cadmium (a metal found in lead ore and a byproduct of lead refining); the cars were emptied, cut up and buried in the slag pile. As for the cadmium, he's not sure where it went, "but I think it eventually did go to 12," he says. 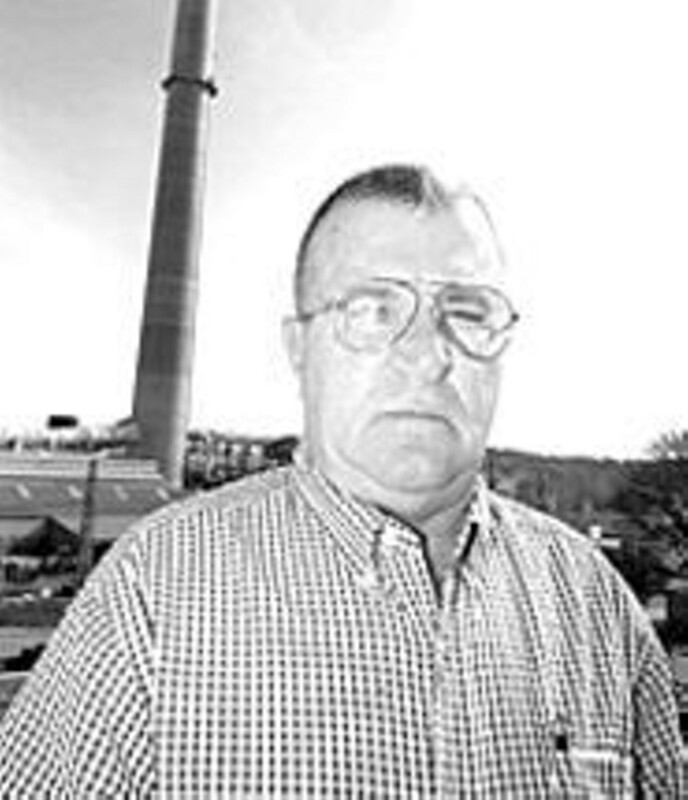 Had investigators spoken with Dicky Rawson of Bonne Terre, he would have told them that he buried "barrels of arsenic" and worn-out, contaminated equipment in the slag pile. "If you go down there, on track 12, there's stuff out there you wouldn't believe. I think it's still there -- they wouldn't go through that much trouble, digging the stuff back up," Rawson says. It's unclear whether any of the information Nash, Rawson and other former Doe Run workers have would be useful to investigators, given that the accounts are old and not easily verified. The ex-workers insist they're telling the truth, but all have an ax to grind with their former employer: Nash, for example, was fired in 1991 and later filed an age-discrimination lawsuit that was settled. Dan Vornberg, vice president of environmental affairs for Doe Run, says he doesn't know of any hazardous-waste burials in the slag pile. "I can tell you this: I came to the plant in 1981, and I campaigned vigorously to make sure, 'Hey, nothing goes out there,'" he says. "I used to walk that pile once a week, and if I found railroad ties -- if I found anything out there, we had a face-to-face on the issue and got the word out that this is not a trash dump.... I can't tell you if there were railcars of cadmium buried before I got there, but I can tell you I would never have tolerated that in the last 20 years. If somebody went out there and buried something, it would have been an unauthorized event. We'd have no knowledge of it." Burleson says he never took what Lewis and his friend told him "as the gospel." He didn't have to -- the results Fish and Wildlife was getting back from the testing lab already suggested there were materials other than slag in the pile. "From what I saw and what we discovered, they [Lewis and his friend] probably weren't far off," Burleson says. Evidence, even anecdotal evidence, that there was hazardous waste in the pile pushed the investigators. Says Burleson: "It encouraged us to look a little deeper, pursue it a little harder." It was time to get other agencies involved. Making a criminal case would be difficult. When dealing with migratory birds that are poisoned, investigators says it's hard to identify the source of the poisonings with certainty. But there was plenty of information to indicate there was a problem in Herculaneum -- and it wasn't just fish and birds that needed protecting. "We had several years of data relating to the health of wildlife, but most people in the regulatory business are concerned about one particular species, and that's us," Coffey says. "Our evidence of all those things potentially happening to wildlife might be a snapshot of what's happening to us." That evidence was sent to the EPA, and Burleson and Coffey worked the phones. "We talked to state, federal, different groups -- and then other people started looking into it," Burleson says. 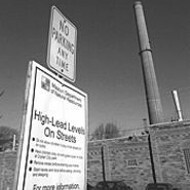 Their information, along with the fact that Doe Run still hadn't met the Clean Air Act standard for lead emissions, got the bureaucracy rolling. Coffey and Burleson succeeded in doing what Browning, the mother of three leaded children in Herculaneum, couldn't do: They got the EPA to pay attention. 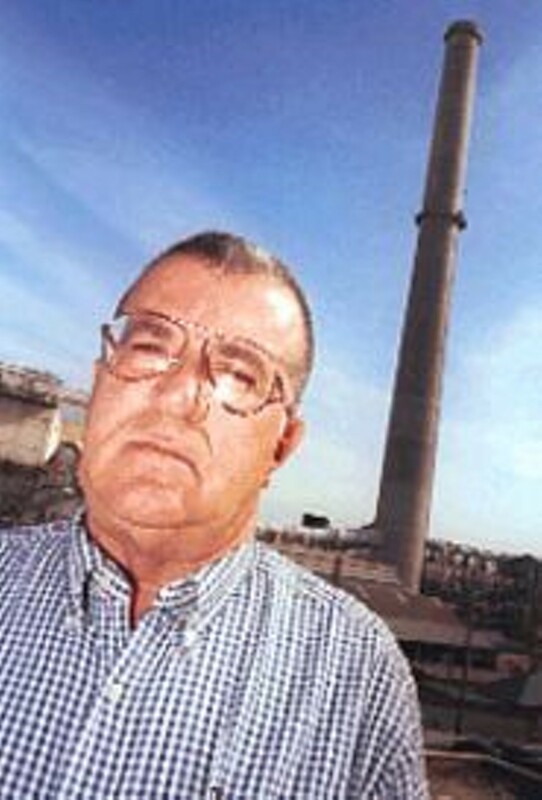 On Sept. 25, 2000, without his company's admitting any liability, Doe Run president Jeffrey L. Zelms signed a proposed consent order agreeing to finally meet air-emissions standards by July 31, 2002; explore ways of controlling runoff from the slag pile, develop a community-wide blood-screening plan; and test and remediate contaminated residential yards. The consent order, co-signed by DNR, did not require Doe Run to cut production or make any immediate changes in operations. Herculaneum residents learned the details at a public meeting in December 2000. After a two-month public-comment period, the consent order went into effect, with only minor changes, on May 29. A Herculaneum resident since 1991, Leslie Warden was a vocal critic of a proposed land swap in which Doe Run would get a piece of Main Street in exchange for company property the city wanted for a sewage-treatment plant. The proposal, floated in early 2000 and supported by Tom Griffith, the mayor at the time and a smelter employee, was part of Doe Run's plan to build a new haul route to the smelter. Warden argued that the deal would hurt property values in the city's 1st Ward, where she and her husband, Jack, lived. It wasn't her only beef with Doe Run -- she also believed that the company, by routinely appealing its assessments in Jefferson County, was holding up additional funding for the public schools. Energized by those concerns, Warden was elected in April 2000 as one of the city's six aldermen. Pollution wasn't a campaign issue, but Warden had a copy of a preliminary assessment on the smelter site completed by DNR in March 1999, and she was just getting warmed up. 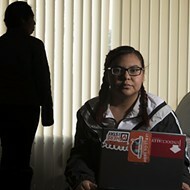 When she was growing up in the area, Warden says, nobody expressed concern about lead or the smelter: "Being naïve, we thought the government kept that place from harming anyone." Now she was the government -- and the more she learned, the more concerned she became. She urged sister-in-law Robyn Warden to have her young kids tested. "She did that in thoughts of 'Well, get them tested, find out nothing's wrong, and we'll be OK,'" says Robyn. 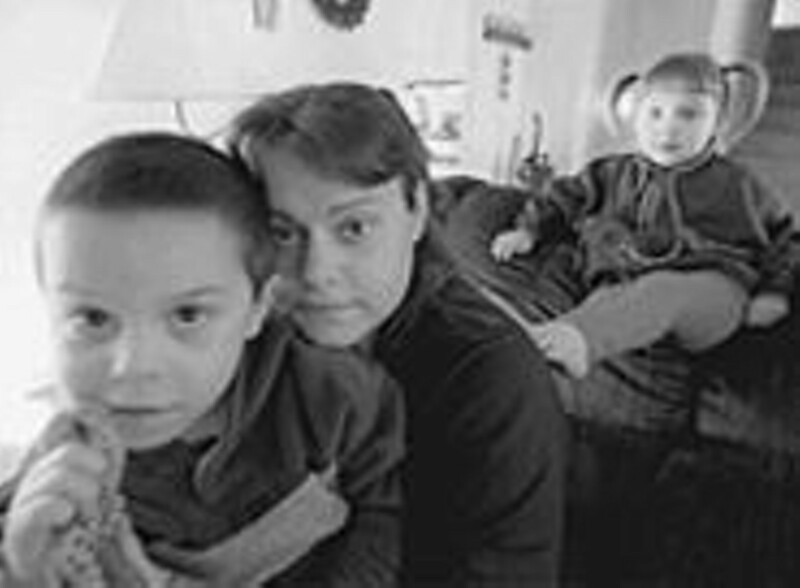 But when the results came back for Grace and Aaron Warden in June 2000, they were anything but OK. Grace, just 20 months old, tested at 32 micrograms per deciliter; Aaron, then 3-and-a-half, tested at 20. "It was a bit of a shock. We had no idea, no idea," Robyn says. 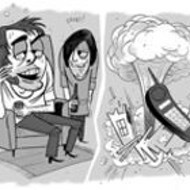 By October 2000, those readings had skyrocketed to dangerous levels -- Grace's was 44, Aaron's 26. The Jefferson County Health Department, Robyn says, seemed intent on identifying every source of lead exposure they could -- other than the smelter, located less than a quarter-mile from their house on Church Street. "They were focusing on all the lead paint, possible paint on a slide we have in the backyard, three doorjambs with lead paint on it, foreign jewelry, antique furniture -- they kept grabbing at straws." Testing eventually identified the primary source of lead inside the house: old carpeting that had been saturated with lead dust. Tests showed levels at a stunningly high 200,000 parts per million, she says. Yet even after the carpet was replaced, Aaron and Grace's blood-lead levels continued to hover at dangerous levels -- and in the month before they left Herculaneum, they were still high -- Grace's was at 24, Aaron's 18. There were symptoms -- stomach cramping, vomiting, nosebleeds, pain. Aaron woke up "every morning" complaining of stomach cramps and then threw up. And Grace? "Every night, she'd just cry and cry and cry," Robyn Warden says. "It wasn't a cry like a colicky cry; it was like a tightening. It was just a cramping cry." Robyn became convinced that kids were being exposed to lead from plant emissions. "After the carpet was replaced, their lead levels dropped by half, and then it stabilized. I was told over and over again, if the exposure was removed, their lead levels would continue to fall. They didn't. And in May, I let the kids play out front because I had kind of cloistered 'em in for a few months, and their lead levels both went up. And they did nothing but breathe outside. They didn't dig, they didn't get dirty, they just played out on the front porch. When they came in, they took baths. They didn't just get their hands washed, they took baths when they came in. And their lead levels still went up." Robyn was advised by state health-department employees to keep Aaron and Grace inside. "I was not to let my children go outside; I was not to open my windows and doors; we were to clean ourselves thoroughly and constantly. Basically it's like living in a toxic zone," she says. In August, after Aaron and Grace's story received news coverage, Doe Run agreed to buy the Wardens' house. Robyn and her family moved to De Soto, but that didn't end matters. Aaron and Grace are among 16 plaintiffs, ranging in age from 3 to 25, in a personal-injury lawsuit filed in Hillsboro on Sept. 21 against Doe Run. Barbara Shepard, a Doe Run vice president and spokeswoman, says the company won't discuss individual cases, including the Wardens'. When company officials discuss lead poisoning in Herculaneum, they point to a series of studies that seem to suggest average blood-lead levels have been trending lower. In a 1975 study of several smelter sites in the U.S., the average blood-level level among Herculaneum children under the age of 6 years was 18.5 micrograms per deciliter. By the time of a 1984 study funded by Doe Run, that average had dropped to 13.5. In 1992, in another Doe Run-funded study, it was down to 10.7. 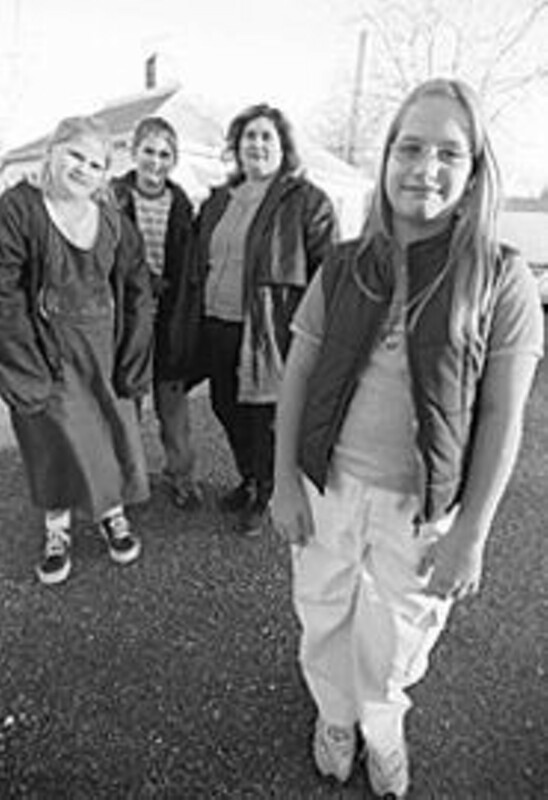 In August 2000, Doe Run funded yet another study that tested women of childbearing age and children under age 6 who lived within a 1.5-mile radius of the smelter. The average blood-lead level of the 60 children in the survey, including 18 who lived outside of Herculaneum, was 6.5 micrograms per deciliter, prompting Doe Run to announce "encouraging public-health news" -- a 39 percent drop in blood-lead levels since 1992. Nine of the children in the survey, or 15 percent, had blood-lead levels greater than 10. The results, at least compared with those from earlier studies, may have been encouraging, but were they accurate? Robyn Warden believes the Jefferson County Health Department, which conducted the survey for Doe Run, understated blood-lead levels. Grace tested at 32 in June and 37 in September at Jefferson Memorial Hospital and, yet, in the Doe Run-commissioned test in August, she tested at 25.6, the lowest she'd score until just before the family moved away. Though no one disputes the fact that blood-lead levels are declining nationwide -- largely as a result of bans on lead paint and leaded gasoline -- just how dramatic an improvement Herculaneum has seen isn't clear. When the Agency for Toxic Substances and Disease Registry, an agency of the U.S. Department of Health and Human Services, tried this year to re-examine results of older blood-lead screenings, the underlying data, especially from the earliest studies, were incomplete or missing. ATSDR became involved in Herculaneum at the request of a community-advisory group that formed in April, just before the consent order was finalized. The community-advisory group was seen as a way for regulators and Doe Run to keep the public informed about the progress of the cleanup and to solicit information from residents. But the monthly meetings, a magnet for lawyers and the media, have become a way for environmental and community activists (including Brenda Browning, who has picked up where she left off five years ago) to keep pressure on the regulators. That's what happened after the meeting in August, when Jack Warden urged Dave Mosby of the DNR to test the dust that was collecting in the town's streets. The smelter gets most of its lead concentrate from Doe Run's mines in the Viburnum Trend, a 40-mile lead vein that run through Washington, Iron and Reynolds counties. In August 1999, rail service was discontinued. Vornberg says the consolidation of companies in Missouri's lead-mining district -- "There were six companies down there, and we're the only one left" -- meant there was less traffic, making the line unprofitable for the railroad. Without rail, about 200 concentrate trucks lumber through Herculaneum each week and, along the way, spill dust, which gathers in potholes and cracks and along the roadway and in yards. 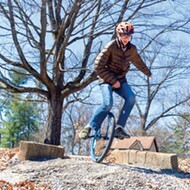 The consent order required Doe Run to test and remediate soil in residential areas, control run-off from the slag pile and implement a community blood-lead plan. But it didn't address dust on the street. The lead dust got regulators' attention. Doe Run was told to sweep and vacuum the haul routes, clean trucks that leave the facility and accelerate its testing and remediation of residential yards. If the company didn't comply, the order signed Sept. 25 by DNR director Stephen Mahfood threatened to stop the transport of "lead concentrate and other hazardous substances along the public streets of Herculaneum." Nine days later, Doe Run filed an appeal, arguing that the state was relying on "mistaken assumptions." As for the dust on the street? "The finding of small amounts of lead concentrate in certain locations on the streets of Herculaneum does not equate to a significant public-health risk," wrote Doe Run lawyer Richard Ahrens, of the St. Louis firm of Lewis, Rice & Fingersh. The DNR order has been stayed until a hearing date is set -- and that still hasn't happened. Doe Run was caught off guard by the state's reaction to the discovery of lead dust. "What appears to have happened is, you've got one spill -- 2 feet by 1 foot and about an inch thick in a dip in the road -- that took on a life of its own," Vornberg says. Although the company doesn't deny that lead dust has spilled on the streets, settling in cracks and holes, Vornberg suggests that the regulatory response was overblown: "It's not like there's lead on the whole street." Zelms says the company's mine and mill employees work around lead concentrate and that typically the only time there's a blood-lead problem is if an employee, using a torch or welder, inadvertently converts the lead sulfide in the concentrate into lead oxide, which he then inhales. "Our inclination based on those facts is to discredit the seriousness of lead concentrates," Zelms says. That sanguine view wasn't shared by regulators. Denise Jordan-Izaguirre, senior regional representative for the ATSDR, says the high lead level in the dust and the fact that the lead particles were small enough to be inhaled posed a serious risk. "The early data that the EPA has collected with their monitors along the haul routes shows us that vehicular traffic was stirring this up and getting this lead concentrate in this air -- and it's a fine enough particulant that it's respirable," she says. Until the dust was sampled, Leslie Warden says, the EPA and DNR folks didn't appear very energetic. "The 300,000 parts per million seemed to pep them up a little," she says. For years, Doe Run told Herculaneum residents that lead exposure could come from many sources other than the smelter -- miniblinds, ceramics, fishing tackle and, the biggest likely offender, lead-based paint in older buildings. But in September, when ATSDR released the results of its exposure investigation of two Herculaneum households -- taking samples of yard soil, air, interior dust, water and paint, then checking for matching lead-isotope ratios in the blood and urine of family members -- the conclusions seemed inescapable. "It was very clear -- very clear -- with the two families that we looked at that the residents -- children, older kids and adults -- were not being exposed from water or lead-based paint," says Jordan-Izaguirre. "For the community, it verified what they've been feeling: It's not a lead-based-paint issue." Vornberg, Doe Run's top environmental executive, concedes that examining and matching lead-isotope ratios is a "powerful technique" but questions whether sampling was sufficient to yield a "black-and-white" conclusion. In Herculaneum's older housing, he says, the lead-based paint would have contained Missouri lead, making it difficult to differentiate between lead dust from the plant and dust from the deteriorating paint. "If I'd gotten that report, I would have raised some more questions," he says. Assuming that the ATSDR study correctly points to Doe Run as the main source of lead contamination, shutting down the smelter won't solve the problem, says Jordan-Izaguirre. "Closing the facility down simply takes away one exposure," she says. "People are breathing contaminated air, but even if that ceases, children are still going to be playing in that contaminated soil, there'll still be interior dust, there'll be hand-to-mouth [ingestion], it's still in their parks -- shutting the facility down removes the least of the hazards." Regulators figure they'll get more accomplished by keeping Doe Run cooperative. Last month, when a resident asked him, 'Why not just shut the smelter?' Tony Petruska, the EPA's top man on Herculaneum, said, "We're going to end up in court if we have to do that. We have to make sure that's the solution that works." But the strategy, despite the clear frustration of the community, seems to be getting some results. There's no dispute that Doe Run executives feel beleaguered and are trying to take steps to allay the community's concerns, even if they believe those concerns are exaggerated. Although Doe Run is appealing the state order, the company recently announced plans to resume shipping concentrate by rail, eliminating the practice of trucking in concentrate. The smelter's also changing how trucks unload. Areas of the plant have been paved to reduce the amount of "fugitive" dust blowing off the site. Doe Run's also resurrecting a proposal to build a haul route to bypass residential areas. And Zelms says Doe Run plans to comply with an EPA order, issued Dec. 14, directing the company to speed up the remediation of yards that tested above the 400 parts per million threshold, starting with yards that tested above 2,500 ppm. The company is also trying to win back the hearts and minds of Herculaneum's residents -- a task made more difficult because, as Shepard acknowledges, the community is different today. "We've had a number of new residents come into the community, and they didn't have the comfort level that others had and didn't have the understanding of the operations," Shepard says. "There were some ... who didn't even know there was a smelter there -- and they started hearing information and it scared them. We missed that our community had changed and we had not kept in touch with them in the way that we should have." Zelms, who has spent his career with the lead company ("since God was 2," he quips) and has been president and CEO for nearly 20 years, says he knows the task of reassuring residents will be difficult. He says he understands that people are concerned and frightened, even if he's not. "I know that there's been lead production in Herculaneum at that smelter site for over 100 years," Zelms says. "I know that prior to that time there was lead shot produced on limestone bluffs there. I know that my wife's grandfather lived to be 93 or 94 years old and worked in that smelter -- and I know a number of individuals who have brought up families in and around Herculaneum and whose children, based on our social mores of success, have been what you or I would call a success. I know again, analytically, that there's nothing different in Herculaneum today than there was six months, a year or two years ago. I know analytically when I look at the last 10 years of the indices for lead in air and lead in blood are infinitely better than they have been previously. I know, on occasion, EPA gave us a commendation as a success story for the reduction of lead in the environment, so those are some of the things I know. "From my perspective, from my knowledge, I would tell you if my family was there, having had that history, I do not think I would be concerned. But having said that -- there are certainly numbers of people in Herculaneum who do not have that experience, all that information at their fingerprints, and are concerned, are scared and are perfectly entitled to be concerned and scared, if for no other reason because they don't know." Doe Run representatives attend every monthly community-advisory group meeting, where, over and over again, residents invoke the legacy of dioxin-contaminated Times Beach. They say it to regulators; they do it for the TV cameras. "Herculaneum is just like Times Beach -- Doe Run should buy out all the houses," one grandmother told Petruska last month. But the government types say there's really no comparing the two -- one is much worse than the other. Jordan-Izaguirre worked on Times Beach, and now she's spending most of her time on Herculaneum. "I don't intend to naysay dioxin, and there are some real potential health hazards, and the more we study it, the more we know," she says. "But we know so much more about lead; we know there's an unacceptable health risk, especially to the children who live in Herculaneum. So, for me, the environmental hazard is greater at Herculaneum than at Times Beach." In the three weeks since they listed their home, John and Wilma Chamis have had two prospects come by -- and neither has returned. They've dropped their price by $3,000, and the mayor's not sure how soon he'll sell. So far, his first year in office hasn't been easy. Some residents complain that the publicity about the cleanup is overblown, hurting property values; others insist that not enough is being done. "How do you answer people? Being the mayor, they put me in the middle of it," he says. "You know, it's a really nice, peaceful town. Good neighbors. Everything's good -- until this problem came up about this pollution stuff."